HomeEthereumEthereum (ETH) Price Analysis: Breakout or Further Decline? Ethereum price extended losses and traded below the $162.00 support area. ETH price traded as low as $156.42 and it is currently correcting higher towards $162.00 and $165.00. Ethereum price recovered nicely after trading to a new weekly low at $156.42. There is a short term breakout pattern in place with support at $160.50 on the 30-minute chart. ETH could either recover towards the $165.00 resistance or resume its slide below $160.00. Yesterday, we saw a decent rebound in Ethereum price from the $162.00 support area. ETH traded above the $166.00 level, but it struggled to gain momentum above $170.00 and topped near the $170.78 level. Looking at the 30-minute chart of ETH/USD, the pair declined sharply and broke the $166.00 and $162.00 support levels. Sellers even pushed Ether below the $160.00 support and the 25 simple moving average (30-min). A new weekly low was formed at $156.42 and recently the price climbed above the $160.00 level. There was a break above the 23.6% Fib retracement level of the latest decline from the $168.44 high to $156.42 low. However, the price is now approaching a crucial resistance near the $162.00-163.00 area, which was a major support earlier. The 50% Fib retracement level of the latest decline from the $168.44 high to $156.42 low is also at $162.43. More importantly, there is a short term breakout pattern in place with support at $160.50 on the same chart. Therefore, if there is an upside break above the $162.00-163.00 resistance area, the price could continue to rise. The next key resistance is at $165.00, where sellers might appear. Conversely, if there is a failure near the $162.00-163.00 resistance area, the price could decline again below the $160.00 support area. The next support is near the $156.00 level, below which the price will most likely test $150.00-152.00. 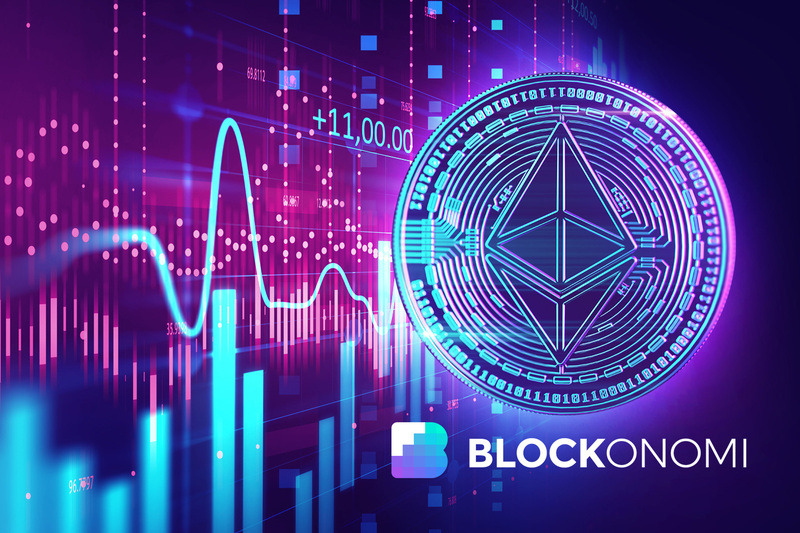 Ethereum is clearly trading near a crucial juncture and it could either rebound further towards the $165.00 resistance or decline below $160.00 to resume its decline towards $156.00 or $152.00. The market data is provided by TradingView, Bitfinex. IBM World Wire Set to Compete Within Cross-Border Blockchain Payments Sector, How Will It Fare? PayWith Litecoin (LTC) Campaign Takes New Dimension, New Boost Enters.